Dr. Hong Zhuang at the USDA Agricultural Research Service recently completed a research project in which he optimized the conditions for a new type of packaging system for raw poultry meat products. 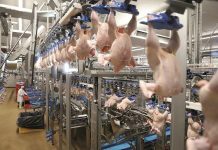 The system uses electrical current to generate ozone inside sealed packages of poultry meat and gives a significant reduction in both spoilage microbes and potential foodborne pathogens. 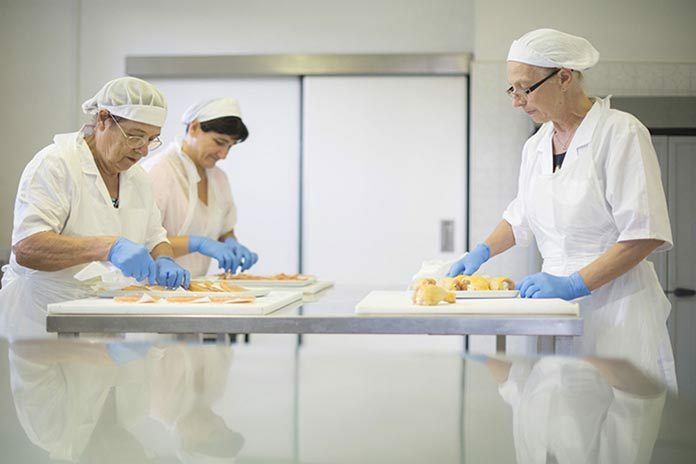 This new approach to product quality control offers several potential advantages on shelf life over traditional methods. The project summary is as follows. 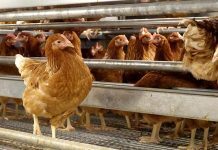 It is estimated that more than 144 million pounds of fresh poultry meat products are lost as a result of microbiological spoilage each year. 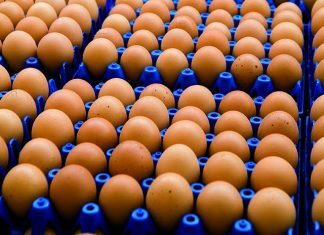 Non-thermal antimicrobial treatments such as chilling with chlorinated water during processing and strategies such as cold-chain management are often used to control microbial spoilage and foodborne pathogens of fresh poultry meat products during storage. A recently developed innovation is atmospheric cold plasma (CP)-based antimicrobial packaging system that uses high electrical voltages to generate plasma with ozone and other bactericidal components within sealed food packages. There are a number of advantages with this packaging system compared to alternative treatments, such as eliminating pre-packaging treatment requirements, adaptability for use with any size and type of package and treatment time, having no chemical residues after treatment, cost effectiveness, improving shelf life. Published experiments have shown that treatment of boneless skinless chicken breast meat in modified atmosphere tray packs with this system at 75 kV for three minutes can double microbiological shelf life at refrigerated temperatures. The objective of this proposal was to optimize treatment and packaging conditions of the CP-based antimicrobial packaging system for extending microbiological shelf life and reducing foodborne pathogens of raw chicken breast meat without compromising quality. Single CP treatment factors, such as CP treatment voltage, CP treatment time, and package CO2 content, were evaluated. The treatment factors were assessed based on ozone formation in packages, natural microflora, foodborne pathogens (Campylobacter and Salmonella), surface color, drip loss and Ph. The results showed that the CP-based antimicrobial packaging system reduced populations of spoilage microbes and Campylobacter by more than 90 percent and Salmonella by more than 60 percent on raw chicken breast meat packed in air. It further reduced spoilage microbes and Campylobacter by more than 90 percent when the raw meat was packed in high O2/CO2 atmosphere compared with that packed in air, although there was no difference for Salmonella. Regardless of packaging atmosphere, the system generated ozone in packages and affected color of treated meat after storage, making meat look paler or lighter. The effects of the system on meat drip loss and pH were negligible. These results suggest that the CP-based antimicrobial packaging system evaluated in this study can be used as an alternative packaging method to extend microbiological safety of packed raw poultry meat. The system can result in ozone formation in raw meat packages and may result in changes in meat appearance after storage. The optimal packaging condition is 35 percent O2, 60 percent CO2, and 5 percent N2. The optimal cold plasma treatment condition is 60 kV for 60 seconds. 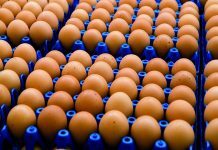 The expected reduction is more than 90 percent in spoilage microbes and Campylobacter and 60 percent in Salmonella after five days of storage at refrigerated temperature.